How to show progress bar on the form? Is there also a "bar" option in Jotform showing how much of the questionaire is left? You can show a progress bar using "Progress Bar" widget in your form. 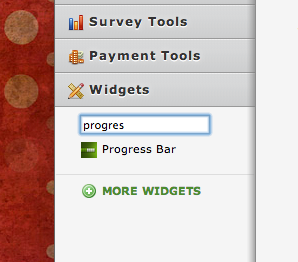 To use it, please search "Progress Bar" in Widgets section on left toolbar.